Imagine you could visualize nine components relevant to your life on a mounted wall display or projection. 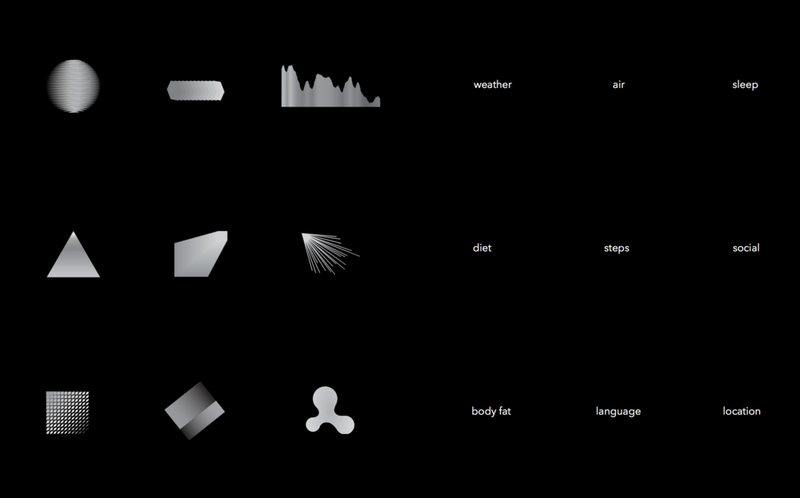 Data Landscape is a concept for a system that tracks the daily components of your life and helps you to see it. It’s a clock and a data visualization, providing a filter to observe your life.